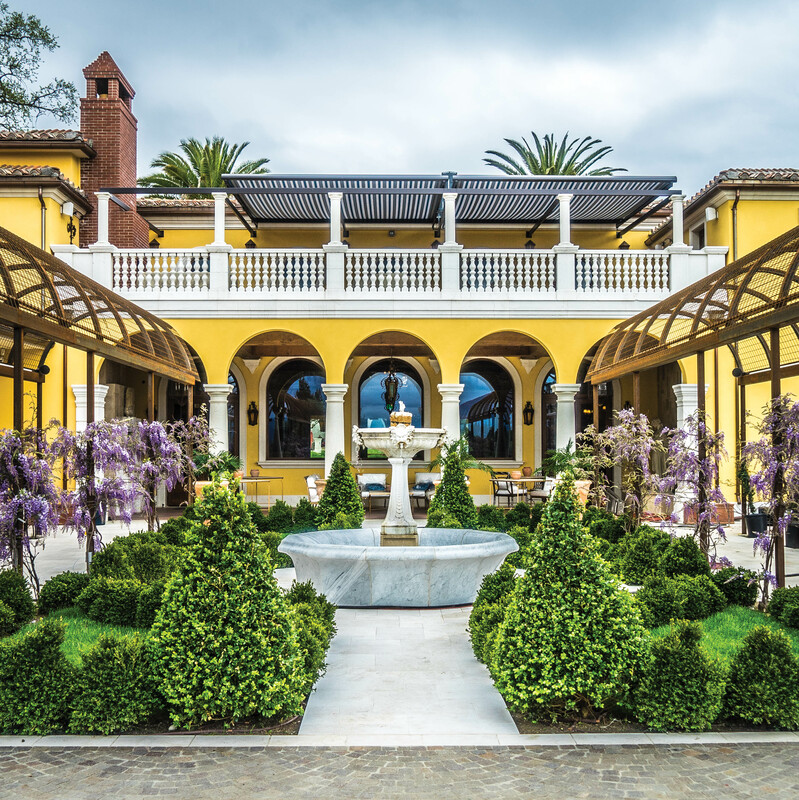 After five years of planning and development, the Del Dotto family’s third and most anticipated winery opens in Napa Valley, just in time for the long Labor Day weekend. Piazza Del Dotto's "La Barchessa" tasting room, opens Friday, September 1, 2017. Del Dotto Family Wineries & Caves is pleased to announce the opening of their third winery in Napa Valley, Piazza Del Dotto, on Friday, September 1, 2017. Located just North of Yountville in the Oakville appellation, Piazza Del Dotto will be open daily from 10:00 a.m. – 6:00 p.m. offering guests the ultimate wine tasting experience accompanied by a world-class food pairing from some of the area’s best chefs. In this first phase of opening, the architectural focal point of Piazza Del Dotto is a 10,000 square-foot tasting room known as La Barchessa, which was designed in partnership with architect Ilio De Filippis and inspired by the old-world Tuscan and Venetian barns found in the Italian countryside. La Barchessa is surrounded by eight and a half acres of planted cabernet sauvignon, more than a dozen ancient Italian sculptures dating back to the sixteenth century, a lush culinary garden, ornate water fountains dating back to the 17th century, 40 137-year-old Sevillano olive trees and a collection of 50 birds including peacocks, pheasants, turkeys, doves and chickens. 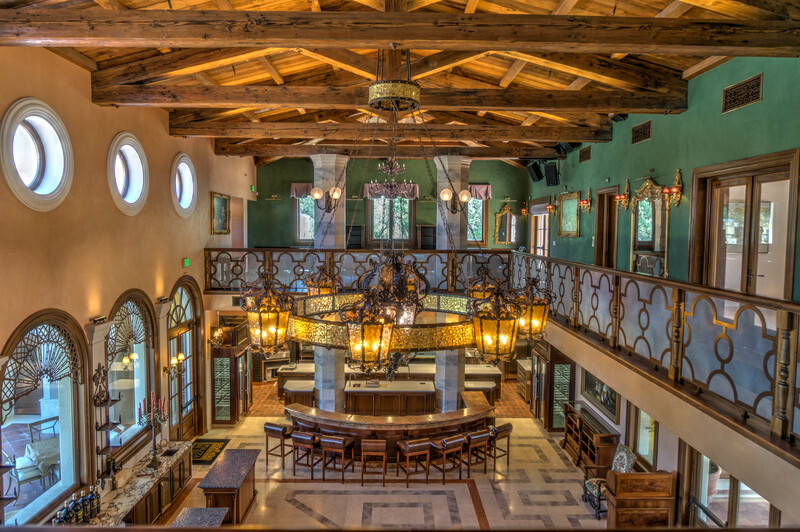 The interior of La Barchessa features 100-year old Douglas fir beams and trusses creating a rustic ceiling that is complimented by a grand chandelier handmade in Florence and dozens of 18th century Italian light fixtures throughout the building. The family’s matriarch, Yolanda Del Dotto, sourced several shipping containers of paintings and furniture from Italy to decorate the tasting room. Additionally, La Barchessa boasts a 1600 square-foot kitchen where Del Dotto’s culinary team, led by Chef Joshua Schwartz, formerly of Thomas Keller’s Per Se and Bouchon, will prepare a series of food pairings from small bites to several courses that accompany each of the two Piazza Del Dotto wine flights. Guests will always have the option to simply taste the wines without a food pairing at Piazza Del Dotto, just as they can at Del Dotto’s other two properties: Historic Del Dotto and Del Dotto Venetian Estate. The Piazza Del Dotto wine selection will include an Estate Cabernet Sauvignon from the Oakville property, a Reserve Cabernet Sauvignon from Napa Valley, Sauvignon Blanc from Rutherford, and Rosé of Pinot Noir, Chardonnay and Pinot Noir from the family’s Fort Ross-Seaview vineyard on the Sonoma Coast. Later this fall, Piazza Del Dotto will launch their first sparkling Rosé of Pinot Noir. The second phase of Piazza Del Dotto will reveal the first 8800 square-foot of caves for guests to tour and taste the wines directly from barrel with a landscaped grotto out front to allow for additional tastings. The third and final phase of construction will deliver the remaining 15,200 square-foot cave for additional wine storage, dry-aging charcuterie and refrigerating a healthy supply of imported Parmesan wheels. Reservations are required for Piazza Del Dotto. To make a reservation, visit http://www.deldottovineyards.com or call 707-963-2134. Located in Napa Valley, Del Dotto Family Wineries & Caves was established in 1993 with a focus on small production, premium wines. Honoring their Venetian heritage, the family has spent the past 25 years acquiring vineyards in some of the best American Viticultural Areas (AVAs) including Rutherford, Oakville, St. Helena, Howell Mountain, and Fort Ross-Seaview Sonoma Coast. Although still a small family-run winery, they produce about 20,000 cases in total each each year of cabernet sauvignon, cabernet franc, merlot, sangiovese and sauvignon blanc from the Napa Valley vineyards, as well as pinot noir, chardonnay and limited amounts of syrah, sauvignon blanc, sparkling grenache and mourvedre from their Cinghiale Vineyard on the Sonoma Coast. The Del Dotto family has three wineries with caves where they offer their signature barrel tastings: Historic Del Dotto in Napa, which opened in 1997, Del Dotto Venetian Estate in St. Helena, which opened in 2007, and their newest property, Piazza Del Dotto in Napa’s Oakville appellation, opens in 2017. With a culinary program that rivals some of Napa Valley’s greatest restaurants, Piazza Del Dotto is one of a few wineries in the area solely focused on offering experiential wine and food tastings. 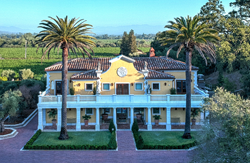 In the last decade, Del Dotto’s wines have received increasingly positive recognition from the likes of Robert Parker and Wine Spectator, including 100-point ratings for The Beast, their most notable bottling, and Villa Del Lago, their highly-regarded sister property on Pritchard Hill. For more information, visit http://www.deldottovineyards.com or email deldottopr(at)trigcollective(dot)com. Inside Piazza Del Dotto's "La Barchessa" tasting room.Inside Piazza Del Dotto's "La Barchessa" tasting room. The Gardens at Piazza Del Dotto.The Gardens at Piazza Del Dotto.